Of course, I’ve decided to start writing again, after a protracted absence, at the start of the Labor Day weekend, a time known as an escape from thinking, work, and, most of all, computers. So we’ll see how inspired I become to write again before late next week. Let’s just say it’s a slow process, getting back into the blogging gig. These past few weeks have been jam-packed…my niece received her Hebrew name, my grandma and aunts visited from Florida, my search for full-time work resumed in earnest, my husband received some fabulous work assignments, and my house was host to friends from abroad and around the block. 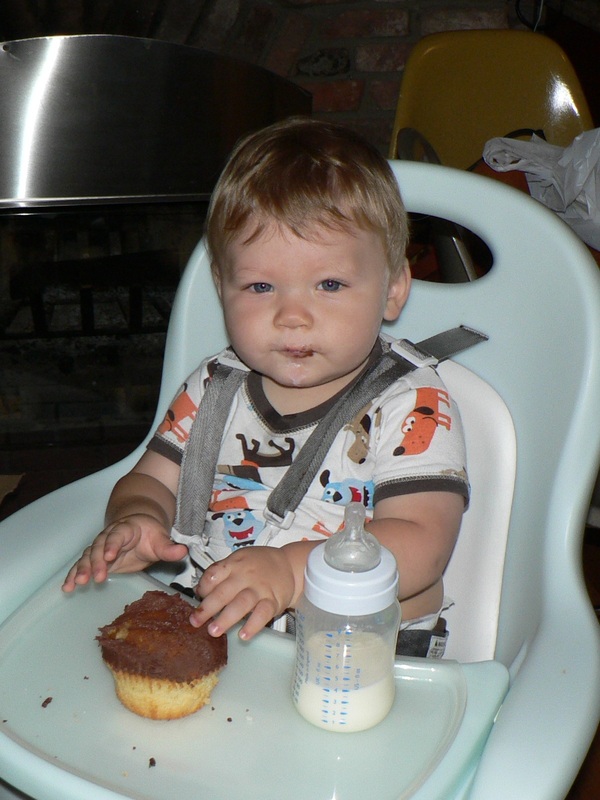 But most momentously, my son Fionn turned 1. Happy birthday my sweet boy. Here’s a post I’ve had on the back burner, and I’m so pleased to finally share it with you(thanks Braden and Justine, for your patience). A few weeks back, I sent a request out to my local neighborhood parents’ newsgroup, requesting photos of beautifully-designed kids rooms. In return, I received a set of beautifully-shot images of the sweetest space, which is shared by two boys named Fisher (2+ years old) and Ryder (4 months). And through my correspondence, I met the photographer – an incredible woman named Justine Cooper, who specializes in portraits of babies and children. Long story short, as a result of that post, Fionn has had his first official studio session (a birthday present for my husband) and I’ve got some fabulous inspiration to share with you. All thanks in advance to Fisher and Ryker’s mom Braden for answering all my questions in great detail about the room – there’s so much great stuff in here it’s hard to decide what to focus on! So let’s start with the basics… You’ll probably recognize the crib as a Stokke, the bed is an IKEA Lycksele sofabed (which folds up into a chair/cot), large rug is from Not Neutral, and the storage unit/bins are Expedit, also from IKEA (See Esther’s roundup of Expedits in nurseries here). But what makes this room special are the personal, handmade touches Braden added to make the room fun, quirky, colorful, and uniquely Fisher & Ryker’s. There are three other creative touches in this room I’d like to point out – maybe they’ll inspire you for your own kids’ rooms. 1. Turning dots into fish. 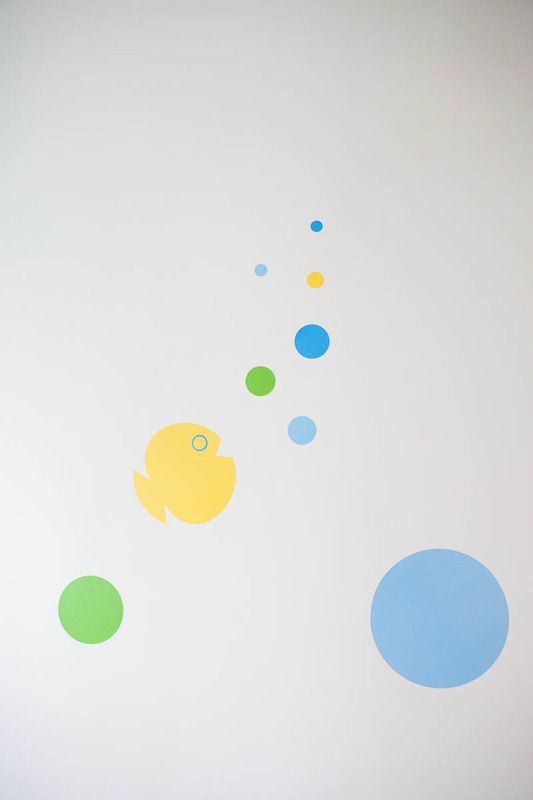 Rather than just taking decal dots directly from the package and sticking them on the wall, Braden cut some of her WallCandyArts decals into fish shapes (and their requisite bubbles). Braden writes, “My sister-in-law bought these animal hats at a cheesy tourist place in Cancun, Mexico… Fisher LOVES them. I thought that since they were so colorful I might as well make them ‘functional art. '” (Isn’t it crazy how your kids always gravitate towards the things you’d be least likely to actually want around the house?) It’s a wonderful way to get stuff like this out of the closet or off the floor, making it top-of-mind and more likely to be played with. 3. Turning traditional ‘family art’ into wall-worthy pieces. 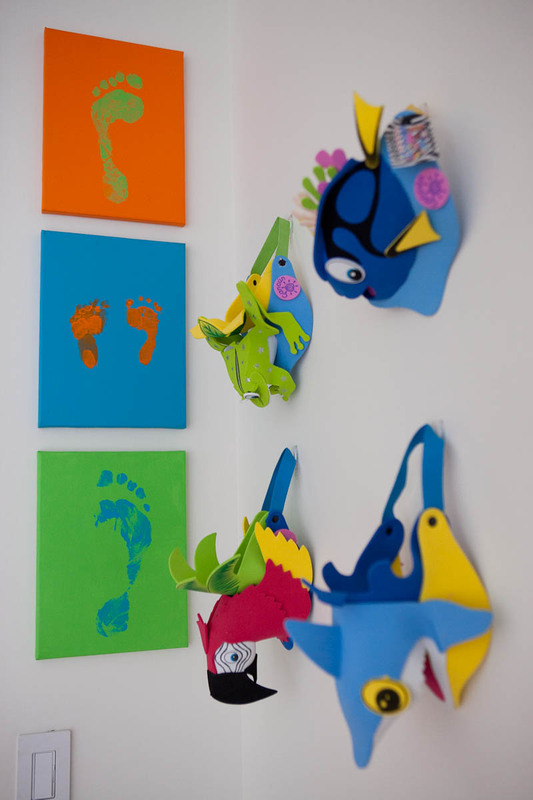 Each family member created his/her own footprint painting in the brightest, most colorful color combination possible! Thanks again, Braden, for letting me feature your sons’ room, and for all your help. Any questions about Fisher and Ryker’s room or any of the pieces in it? Please leave a note in the Comments section. Do you have a room you’d like featured here? Let me know. Like many people, I use magazines two ways; flipping through them here and there, and diving into them, after waiting patiently for the long train journey or stretched-out second nap. A feature in the recent (July/August) issue of House Beautiful caught my eye both times. The issue, subtitled “Is Small the New Big?” showcases a 1200 square foot California bungalow designed by Krista Ewart. 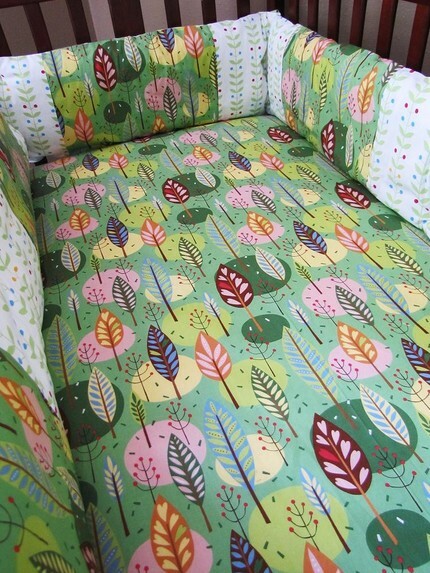 Overall, it’s a bit too Lilly Pulitzer/Palm Springs for me (granted, it’s a beach house), but taken piece by piece, there’s some AMAZING design in this house. (You can see all the photos here). 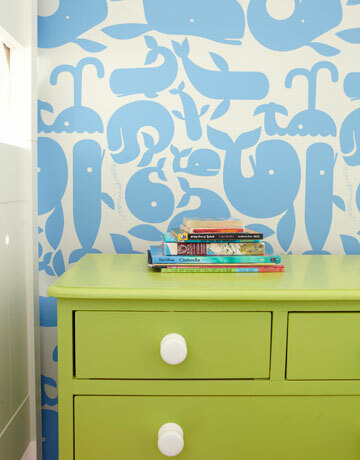 The room at top has a gorgeous ‘whale print’ wallpaper from Walnut Wallpaper, which I’d love to use in a child’s room somewhere. The second image, directly above, is the inspiration for this post. 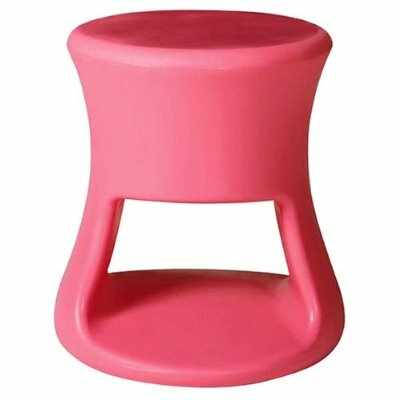 When I read that the side table (called the ‘Bubble Up’) is available for sale at PB Teen for $199, I put down the magazine and hopped online. Unfortunately, the turquoise is no longer available, but as shown in situ, the hot pink side table adds a needed pop of color to a room furnished in turquoise and white. 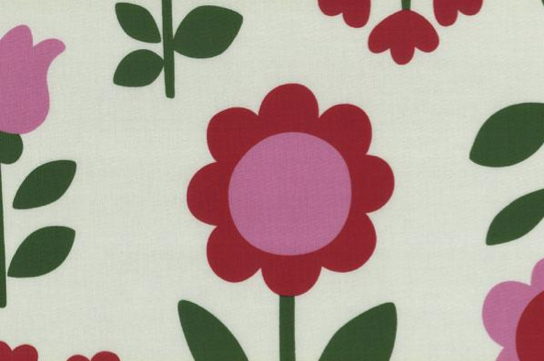 As Erin (from House of Turquoise) knows, pink and red are fantastic complements to the sea blue color. 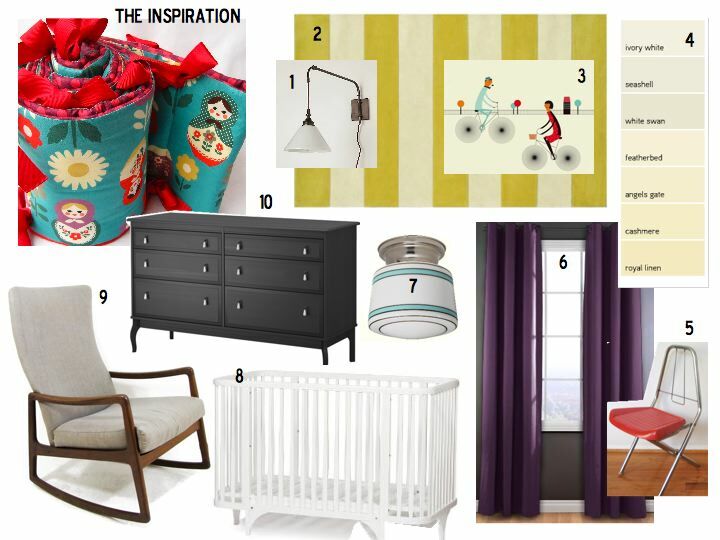 One of her featured rooms, decorated beautifully by Tracey of the Procrastination Mama blog, is also one of the nicest shared rooms I’ve ever seen. 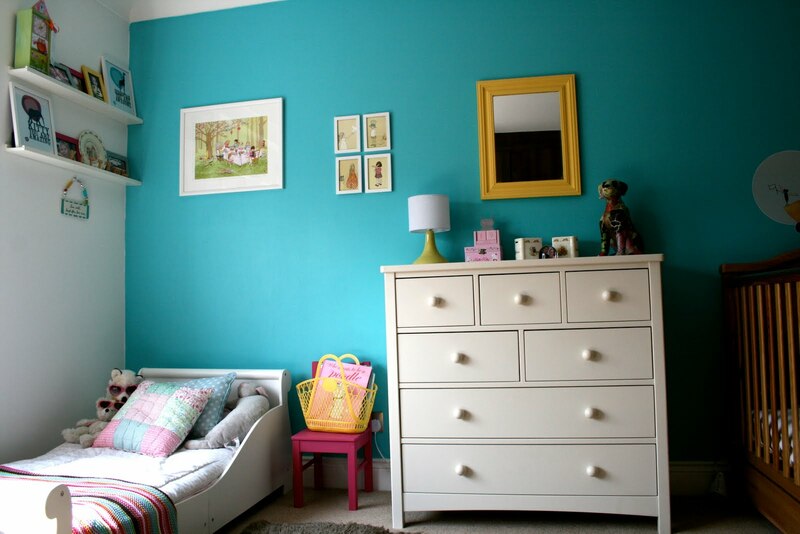 With two kids (a toddler girl and an infant boy), she uses turquoise paint as the backdrop for one wall, then accessorizes with bright yellows, pinks and greens. 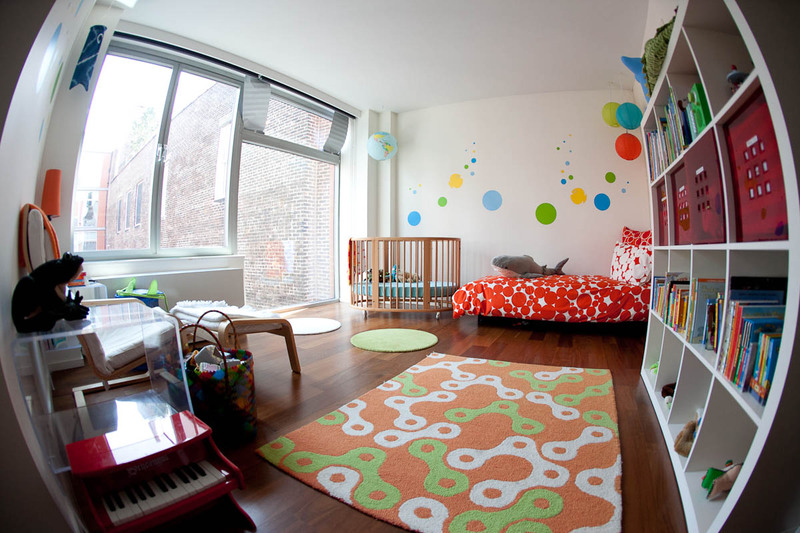 Each kid’s space gets a few personal touches to add character and interest. And check out the little hot pink chair next to the girl’s bed! Adding a high-gloss or brightly-colored side table to your child’s room is a great way to ‘decorate’ without redecorating… think of side tables as the throw pillows of the bedroom. So, in addition to the PB table above, here are some great options – the glossier and brighter the better. 1. Tiki stool by Offi at Target $69.99. 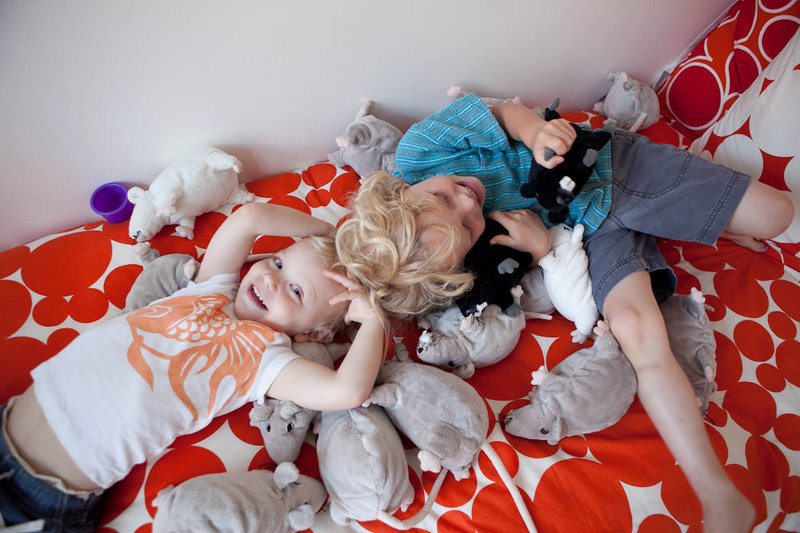 Offi is more well-known for animal lamps like the yellow dachshund featured in Fionn’s room, but also offers great kid-sized plastic chairs and tables too. 2. Slick Cube table available at St. Louis LoftStyle for $125. It comes in black and white as well, but the colors are my favorite. 3. 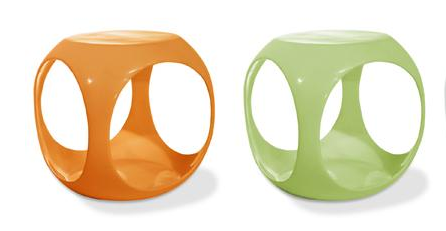 Jolly side table by Kartell at Unica Home for $166 each. 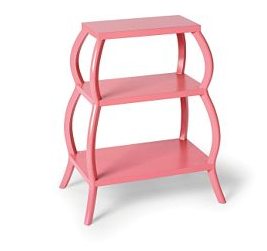 As mentioned in my previous post on acrylic furniture, we have a pair of these in our bedroom in the clear (untinted) color, but as you can see above, they come in tons of shades and are just really adorable. 4. 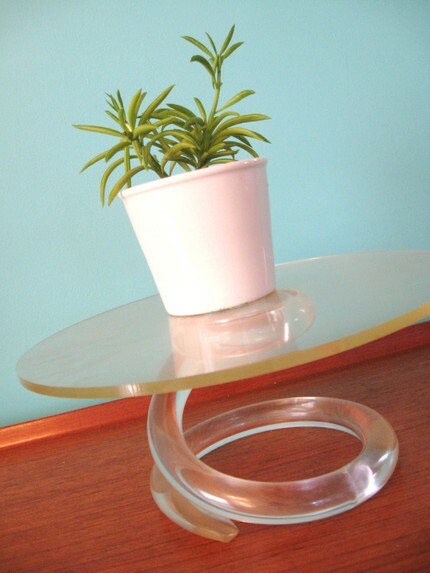 GORGEOUS and on sale at Serena & Lily, the Curvee shelf table in melon has been reduced from$369 to $258.30. This piece is definitely a keeper- I could see it transitioning from a toddler room to a young adult’s room with no problem. 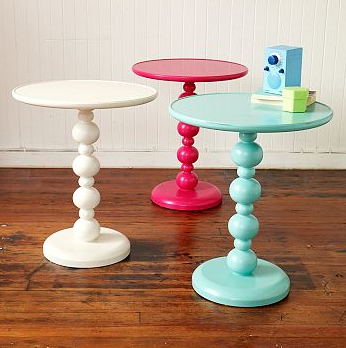 See any more brightly-colored side tables? Snap some photos for me, and I’ll post them here. This is a HUGE question, and one I haven’t seen being talked about or dealt with in the traditional home decor magazines (although there’s a gorgeous kids room featured in July/August’s House Beautiful, I’m sure many interior designers would rather forget that human beings actually start at age 0…) Of course, you can always count on a heated debate about baby/child “proofing” on Ohdeedoh.com — on one side, “if your child behaves him/herself, you don’t need any,” on the other, “yes, padded corner cushions are ugly, but they’re necessary, and soon they’ll be unnecessary again.” My take on the whole challenge is a combination of the two philosophies. 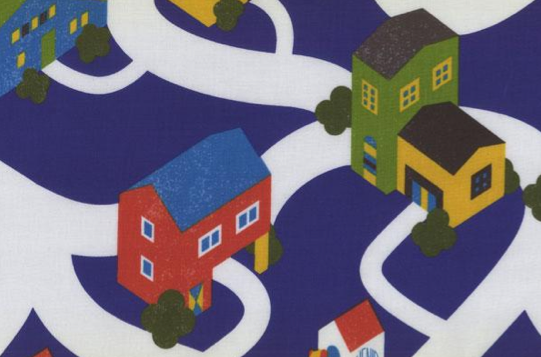 You want your home to be -and stay- as visually pleasing and comfortable as possible, AND it needs to be safe for all the people who live there. Which sometimes means swapping out the (super-indulgent and big-treat-to-ourselves) Czech-crafted mid-century wood and glass cocktail table which sits center-stage in our living room in favor of something a little more … destruction-proof. Enter the fabulous material known as acrylic AKA lucite, perspex (for those in the Colonies) and my personal favorite, ‘plexiglas’ (a term coined in the ’30’s, but to me will always scream ’70s.) They’re all name-brand alibis for a material properly known as polymethyl methacrylate. Heavy on the meth there… good to know it’s referred to as PMMA in the science world. 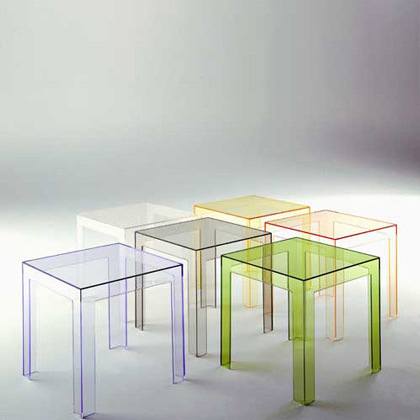 I’ve been thinking about how wonderful acrylic furniture is, especially in small apartments like our own. Apart from the inevitable scratches (our Kartell bedside tables are special victims), I can’t really see any disadvantages of acrylic furniture in a household with children, except maybe being knocked over and played with (e.g. 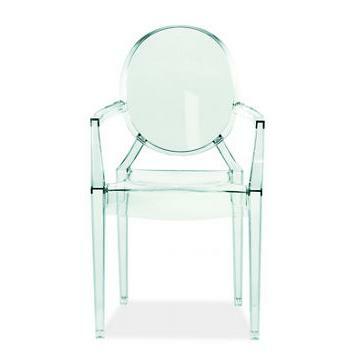 kid-sized Ghost chairs for $133 at Room & Board). The coffee tables we’re looking at, including the Adair (above, available at Overstock.com for $223.50) are especially sturdy. 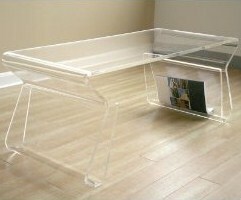 Another favorite of mine is the CB2 Peekaboo table, available at CB2.com for $250, which is made by simply melting two curves into a thick sheet of acrylic. 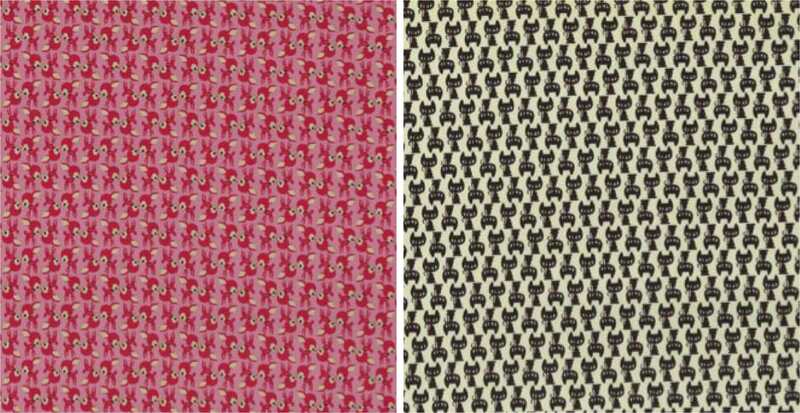 As you may have been thinking, acrylic is a bit of a ‘retro’ material… meaning you’ll see some of this stuff on Mad Men, perhaps Life on Mars, and maybe even Hot Tub Time Machine. 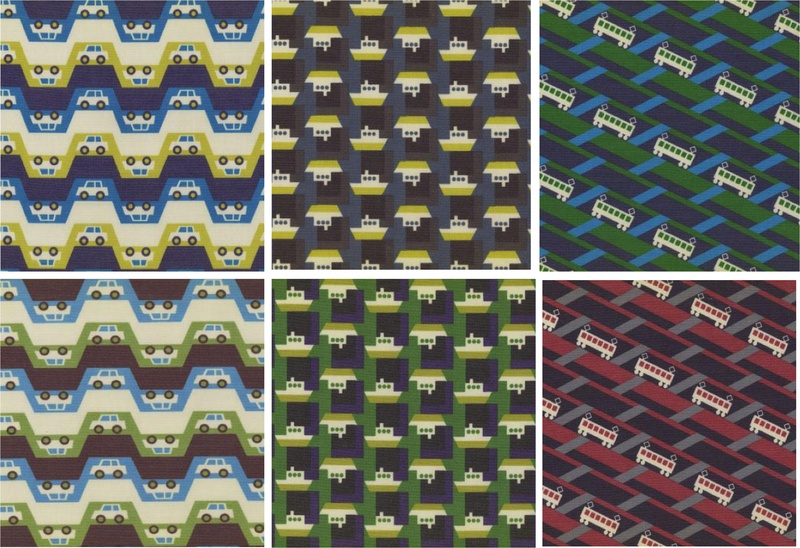 (Basically, there’s acrylic for every decade). This cake stand/display shelf is reminiscent of the above candelabras. Make a toy collection look especially fancy, or add a fern for that 70s touch. 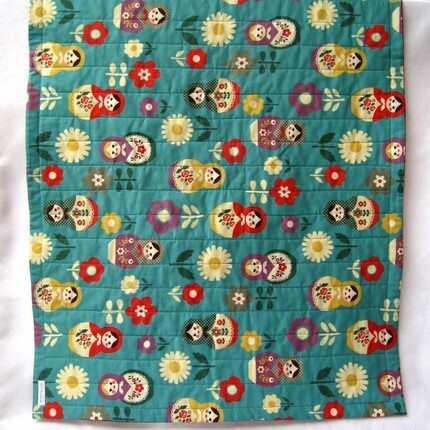 You can find it at the (super-fun) Fabulousmess shop on Etsy for $50. And lastly, because it made me laugh, and then made me slightly nostalgic for the die-cut nameplate (in mirrored acrylic) I’d glued to my bedroom door as a kid. Are little girls still into unicorns these days? I don’t even know. 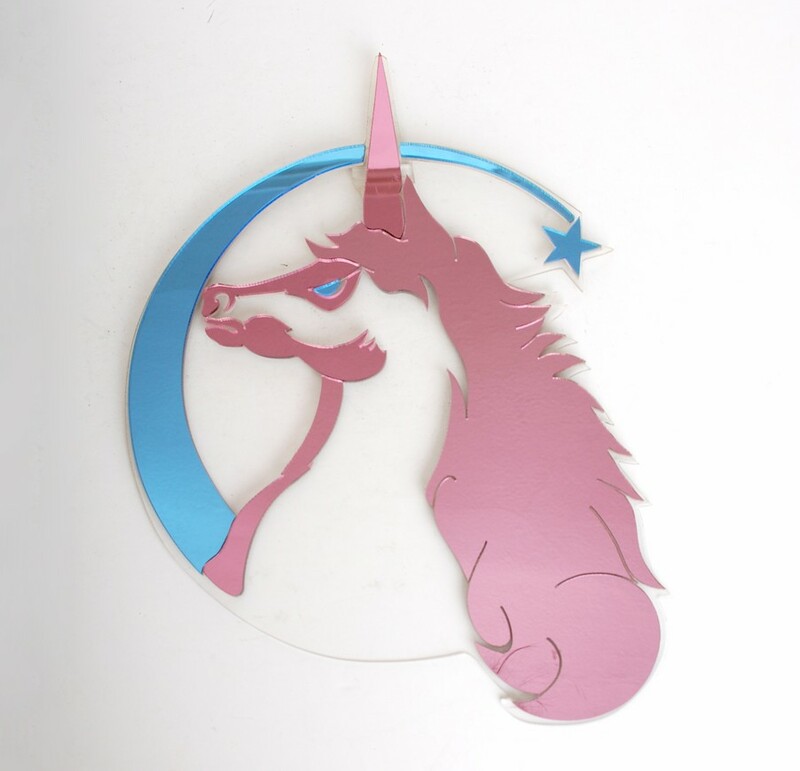 But if your girl is, you can’t beat this “vintage ’80s mirrored lucite unicorn,” sold by Twin Hearts Vintage, on Etsy, for $14 bucks. 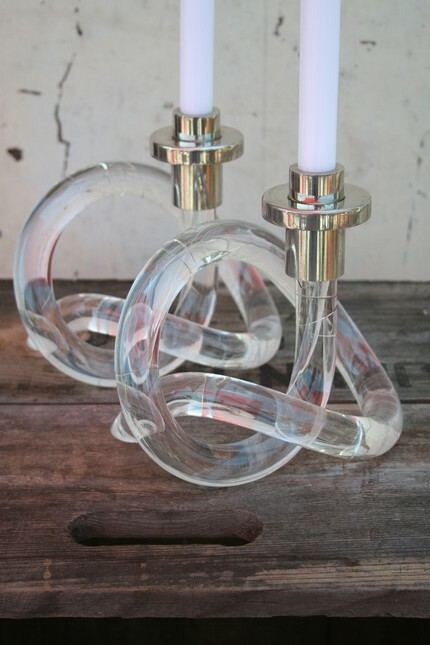 Not exactly ‘childproofing’, but if you’re redecorating, some vintage-y acrylic furnishings could be a great way to go. Kristin, I’ll be thinking about your question and get back to you with more suggestions in the future. 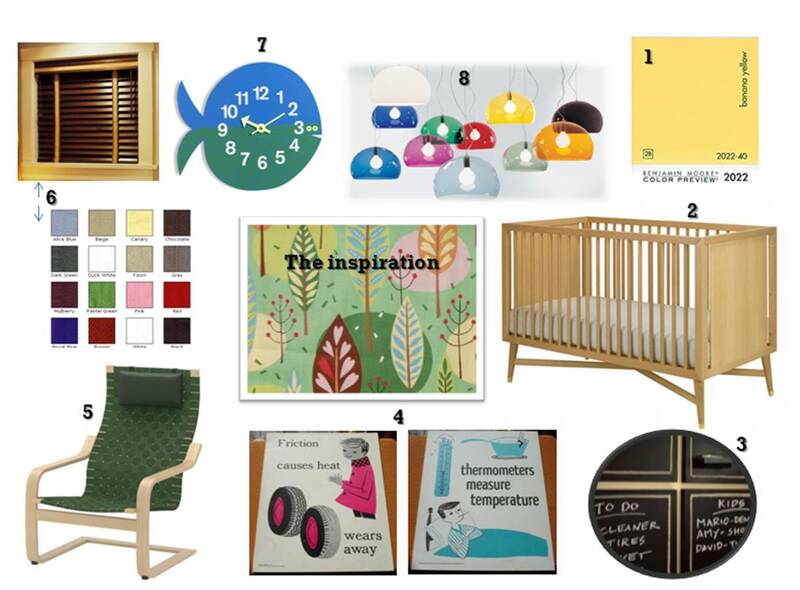 Readers, any tips for making stylish spaces more kid-friendly? Send them my way. 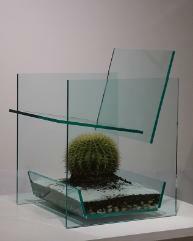 By the way, the Cactus chair at top is available for around $3000 via Voos Furniture, if you’re up for the challenge.